What is the summary row in the record editor? The very last row in the data table on the web app's record editor is a summary row. When you click on the cell for a column in this row you will see a series of options that you can use. 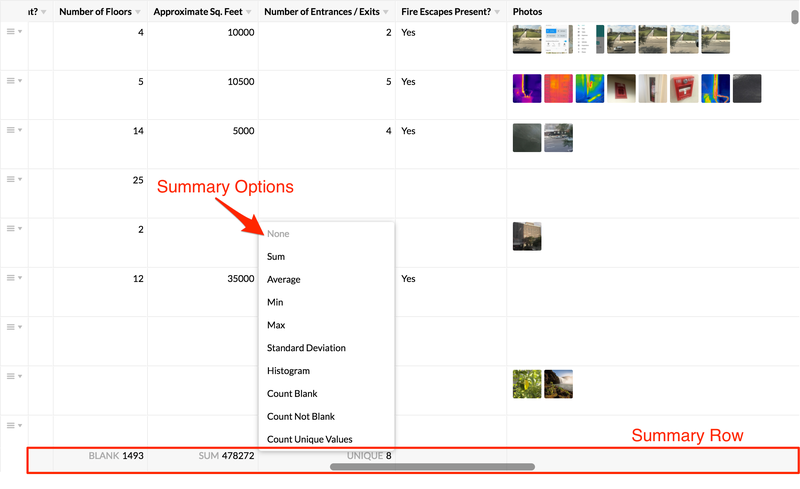 This summary row does not support all field types and using the filter options for a column (click on the header of a column) may prove to be more useful for certain fields. This summary row is particularly useful for numeric fields with options to obtain the sum, average, min, max value, as well as, a few more options. The result will be produced using all of the records that are currently being returned by any filters that are being used.